Well built custom home on quiet street in one of Florence's most desirable neighborhoods. 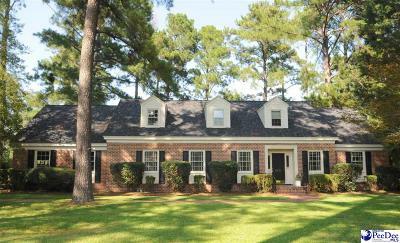 Five minutes to Magnolia Mall, Florence Mall, West Florence High School and much more! Spacious rooms throughout with lots of beautiful hardwood floors. Recently renovated master bathroom with large tile shower. New shingles in 2014 and lots of custom features that make this home special.